FCE was retained by California Polytechnical University San Luis Obispo (CalPoly) to designed a new field campus at the 3,000 acre Swanton-Pacific Ranch located in northern Santa Cruz County outside of the town of Davenport, California. FCE prepared comprehensive civil engineering design plans for new roads, utilities, parking, on-site water and wastewater facilities, grading, storm water management and erosion control. The new field campus includes 12 student cabins, a central outpost building with laundry and kitchen facilities for students, four staff housing units, an expanded class room and new dining hall facility. 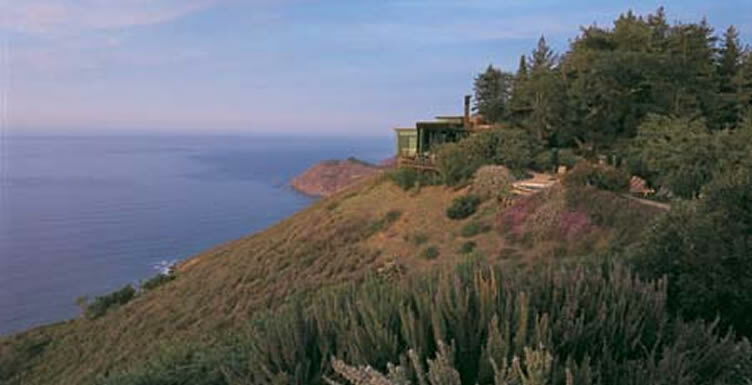 FCE was retained by the St. Francis Retreat Center to prepare civil engineering design plans for the new central building to replace the 25,000 square foot ranch house that was destroyed in a fire. FCE completed the civil engineering design plans including grading, drainage, utility and erosion plans for the new 15,000 square foot building and garden areas. 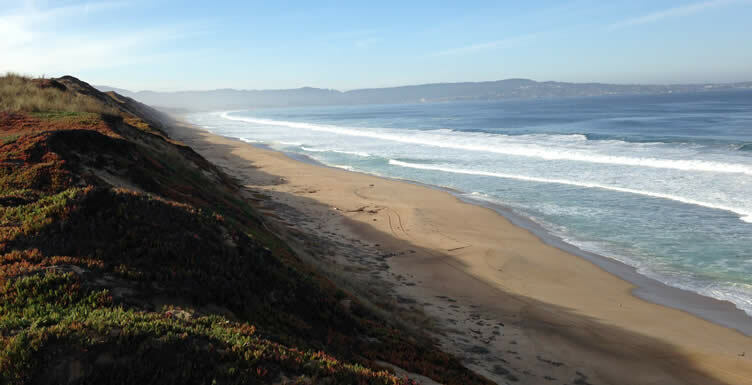 FCE has prepared a comprehensive civil engineering design package for a new State Park campground planned for the Fort Ord Dunes State Park. FCE is prepared grading, drainage, circulation (road and trail plans), and utility plans for the 500 -acre park. The campground is the first campground designed in over 40 years and is incorporating Low Impact Development (LID) storm water measures to manage site runoff on site, an expanded trail network, interpretive center and nodes, a new segment of the coastal trail, tent, bicycle and RV campsites and comfort stations. 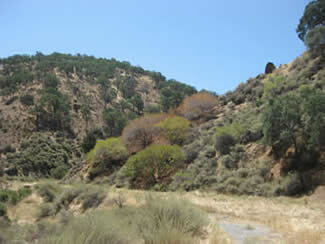 The Arroyo Mocho Creek Crossing is located in the lower end of the Arroyo Mocho Canyon in Livermore, California. 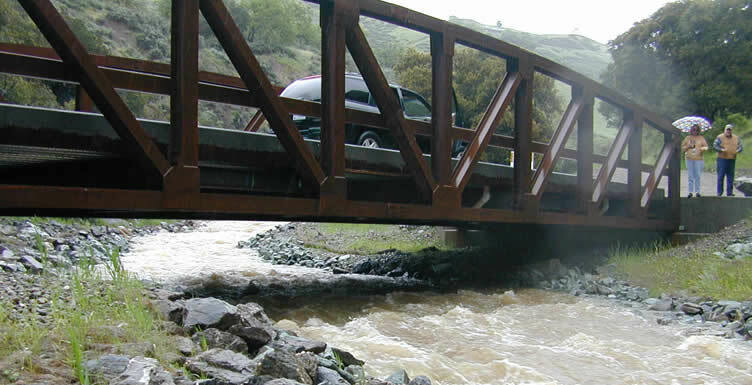 A concrete ford creek crossing was constructed across the stream at the Arroyo Mocho Shaft Road and was used by the Lawrence Livermore National Laboratories to access the Arroyo Mocho Pump Station, the primary water supply for the laboratories. The creek crossing was a complete barrier to both steelhead and resident trout migration. FCE prepared civil engineering design plans for a new bridge and water main crossing for the Lab. The project entailed the removal of the concrete ford, the reshaping of the stream channel, the installation of an 80 foot clear span bridge, a new 24-inch water main and concrete vault to protect the water line, concrete abutments, and the restoration of approximately 190 lineal feet of channel upstream of the crossing to establish a new stream grade and alignment. The newly restored reach included 4 vortex boulder weirs constructed to provide year round fish passage and grade control. 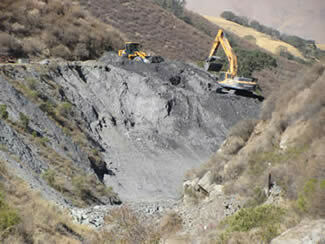 FCE was retained by the California State Parks and Recreation to prepare comprehensive civil engineering design plans to improve over 8 miles of road and off highway vehicle riding trails and three large water quality treatment basins for the Carnegie State Vehicular Recreation Area located in Livermore, California. FCE designed various improvements including trail realignments, trail surfacing, new culverts, two (2) precast bridge crossings, boulder step pools, and paver lined ford creek crossings to slow runoff, reduce sedimentation to downstream drainages, and improve access for recreational riders and emergency vehicles. FCE designed three large water quality basins to capture sediment from the three largest watersheds in the park. The water quality basins include two or three large earthern basins designed with inlet and outlet control structures to control flows through the basins and to maximize the removal of coarse and fine sediments. 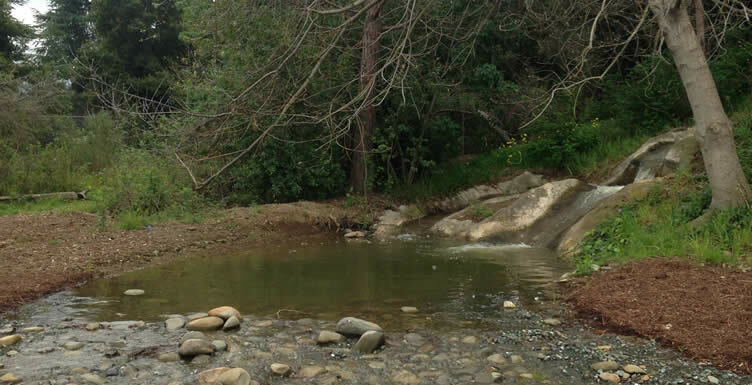 FCE in collaboration with Joni L. Janecki & Associate Landscape Architects prepared civil engineering design plans and specifications to improve the Natividad Creek Park. The 64-acre Park is located within Salinas and provided opportunities for stormwater detention/flood control, habitat restoration, and community experience. The projects within the Park included rehabilitation of lower Natividad Creek and the installation of community activity spaces and an Interpretive Nature Trail with bilingual signage. FCE designed a 18 acre freshwater wetland facility incorporating a multi-use trail around the wetland. The trail allows bicyclists and pedestrians the opportunity to safely access viewpoints and native species around the wetland. 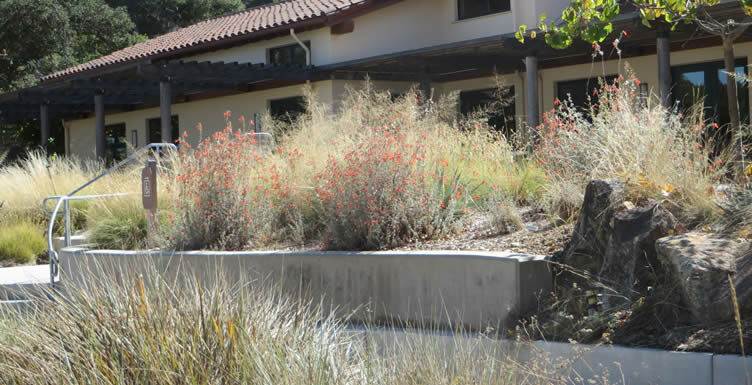 FCE was retained by DeAnza College to design a new stream and pond living laboratory for the Environmental Studies Department. 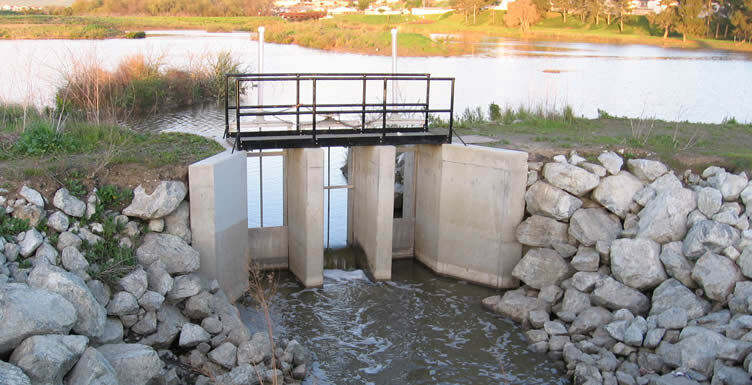 FCE designed a recirculating stream, wetland pond system that was designed as a full scale system based on the geomorphology and hydrology of a coastal California stream, wetland and pond habitat. FCE teamed with Joni Janecki Landscape Architects who prepared the planting plans utilizing regional native plans appropriate for the biotic requisites for the project. FCE prepared the civil engineering design plans for the expansion of the Post Ranch Inn to allow for the construction of 10 new guest units and 12 new employing housing units. 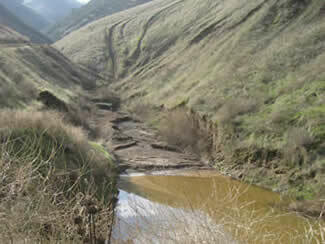 FCE prepared grading, drainage, circulation, utility and erosion control plans for these projects. 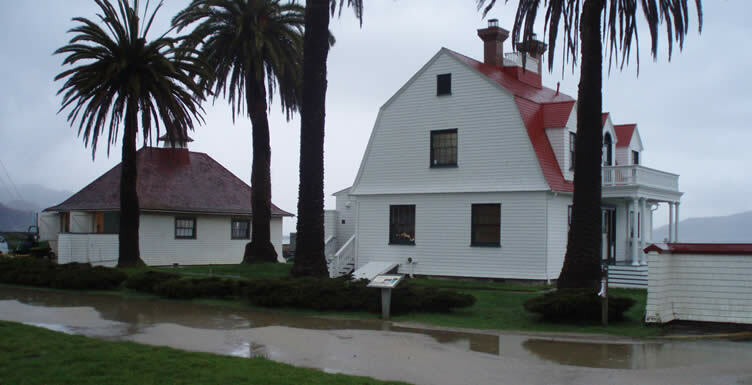 Fall Creek Engineering (FCE) was retained by Architectural Resource Group (ARG) to prepare a civil engineering design plans for the GFNMS Lifeboat Station and Boathouse Building Restoration project within the Presidio in San Francisco, California. 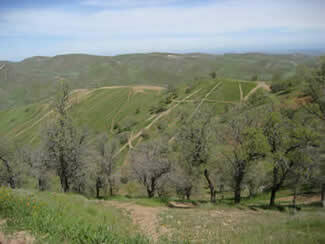 FCE prepared civil engineering design plans including site grading, drainage, erosion control, and all site utilities. FCE designed the site utilizing Low Impact Development (LID) stormwater Best Management Practices (BMPs) including grass lined swales and subsurface stormwater infiltration. FCE also designed a hybrid parking lot that utilized impervious asphalt concrete (AC) paving in the driving aisles and pervious pavement in the parking stalls to reduce impervious area at the site. The storm water system routed all of the runoff from the roofs of the new buildings to large capacity subsurface infiltration chambers located adjacent to the buildings in the native sandy soils. The Parkhurst Terrace property is a redeveloped 68-unit affordable housing development. 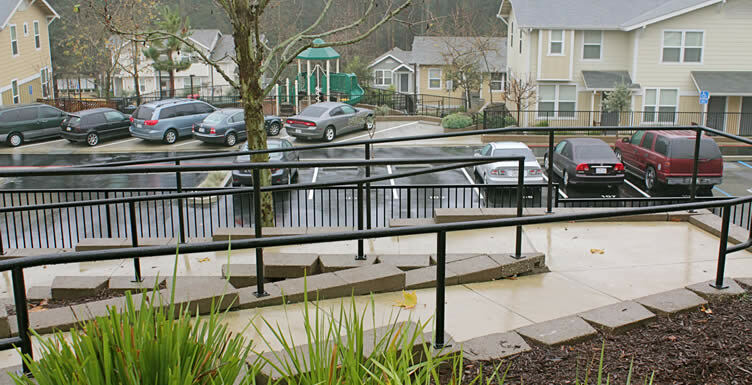 Fall Creek Engineering (FCE) was retained by the Mid-Peninsula Housing Coalition as the project civil engineer and as such developed the complete civil and environmental engineering design plans, specifications and estimates. FCE provided construction supervision services through the construction of the project. FCE completed grading, stormwater, dry and wet utilities, an onsite wastewater treatment and reuse system, and designed over 40 retaining wall systems for the complex site conditions. FCE designed a storm water management systems utilizing Low Impact Development (LID) approach to retain runoff onsite utilizing a combination of permeable pavements and subsurface retention systems.